Outlines USMC structure and mission to include Navy personnel attached to USMC units. Provides historical insights and discusses traditions. How do I get a L.I.N.K.S. certificate so I can work with my command? Why should I take a L.I.N.K.S. workshop? People attend L.I.N.K.S. to help get answers their questions about the Marine Corps lifestyle…to learn about their new duty station…to make new friends…to discover resources that will enhance life aboard MCLB Barstow…and to find encouragement to grow in their new community! The L.I.N.K.S. program exists because mentors teach it, understands its importance, and want to help others succeed. L.I.N.K.S. mentors understand how valuable this information is for everyone regardless of how long you have been affiliated with this lifestyle. 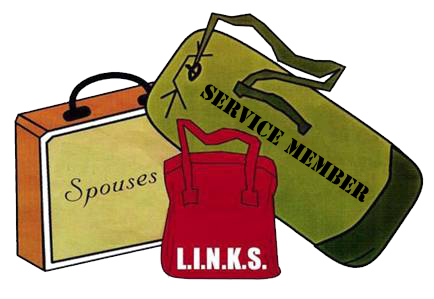 Becoming a part of the L.I.N.K.S. team ensures families will continue learning about the hundreds of resources available to them, and encourages you to grow your talents and skillsets. People who join the team fill resume gaps, learn new skills, make friends, and become best version of themselves!